selling a device to your practice. 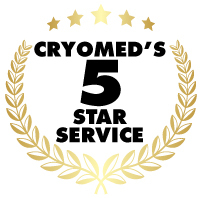 When you purchase medical technology from Cryomed, we make an ongoing commitment to your clinic. We want to make sure you’re successful. That you have happy patients, and that your business remains successful. We believe this can only happen if you are fully trained in the use and care of your valuable device. This is Coolnet. It’s a valuable resource centre that’s constantly expanding, offering you everything you need, from product logos to complete product brochures, from clinical studies and papers to full training programs. But even more valuable are the resources behind Coolnet: the Cryomed team, carefully selected by Josh for their expertise, passion and dedication to excellence in client service.